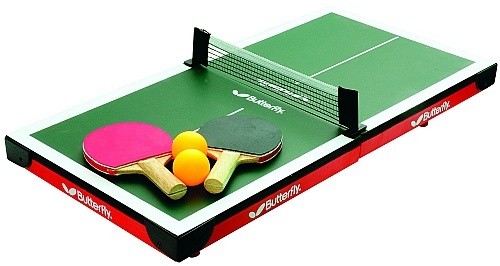 Do you need a small/mini table tennis table or a full sized table tennis table? Let me guide you to choose the best mini ping pong table that is right for you. Let’s go through some important points you need to know about before buying your ping pong table. Before you decide on buying your ping pong table, you will have to know which type of table that is suitable for you. There are mini and compact table tennis tables, conversion tops and the full sized indoor and outdoor table tennis tables. Benefits of a Mini Ping Pong Table? Mini tables do not have the same size as a full sized TT table. They are small in size and have smaller playing surface. I will advise that you should buy a mini table tennis table, if you do not have enough space at home or if you want to play the game with your kids. 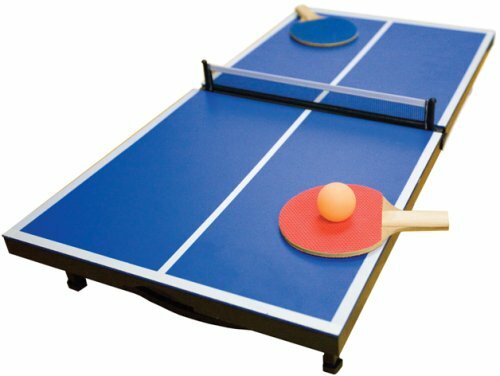 Mini ping pong tables are very good for kids and juniors who are beginning to play the game, as they grow up they can upgrade to play with full sized tables. Mini ping pong tables are very easy to store when they are not in use because it doesn’t requires too much space. A mini table is very affordable with price ranging between $60 to $150. They are mainly designed to be easily set up and taken down as quickly as possible. However, if you are a beginner and you want to develop your table tennis skills, a mini ping pong table will not be suitable for you. If you already have a mini table tennis table and you want to step up your game and develop your techniques, go for a full size table, you will see the difference and your game will definitely get better than before. The full sized tables are the official table tennis tables used in table tennis tournaments. A full sized table will be more suitable to help you to develop your table tennis techniques. 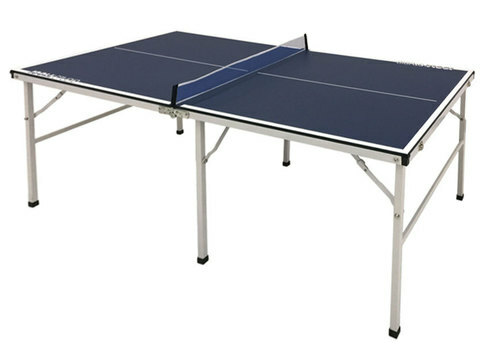 You can decide to buy an indoor or outdoor table tennis tables. The official size of a full sized TT table is 2.74m long, 1.525m wide and 76cm high. An ITTF approved table must be in green or blue color and the table must be divided into two halves by a 15.25 cm high net. As a beginner you need to decide if you want to buy your own table tennis table for you to practice the sport at home and improve your game. If you cannot afford your own ping pong table now, you can practice in a local table tennis club near you. I have always maintained that table tennis is a very addictive game. It proved so this week-end when I went to a salsa club which didn’t inspire me to go to another such outing unless I could Salsa properly. Bitterly disappointed by this realization, we headed back to my mate’s house where incidentally, he happened to have a mini table tennis table and I obviously had to oblige. I have to say that I was at first apprehensive playing table tennis with those tiny little bats but after couple of exchanges, I ended up really enjoying it. Although you are not going to get the thrills and action of a proper table tennis, using the mini table tennis table was a good laugh. Even the girls had a go at it although I did win all my matches against them, sorry ladies. I think that the mini table tennis table can be a good laugh with any friends or non savvy table tennis players so get out there and get your mini table tennis table now. 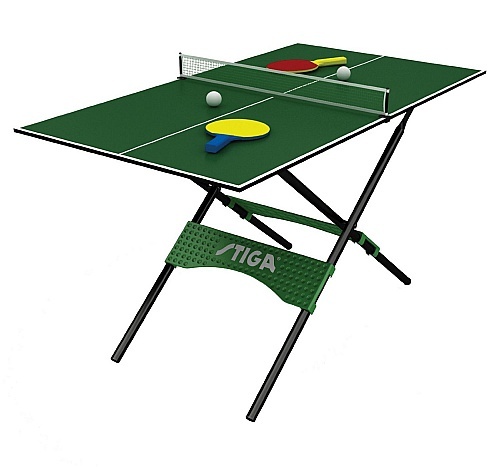 If you are thinking of buying a mini table tennis table to play in your house, there are several brands that you can consider of and I would show you some of the popular brands which will ensure you to get a quality table which you can have a lot of fun with. The Stiga mini ping pong table is a fun table that you can easily install in your room and play right away with your family. It is simple for handling and is completely assembled when it arrive at your house. This Butterfly table is having 4 legs for easy assemble and a 12mm wooden playing surface. The 2 table half can be folded and provide you with the convenient for compact storage. When you buy this table, you will also supplied with a carrying case that make you very convenient in handling the table and move around. In addition, the table also is included with two 40mm ping pong balls and two mini sponge bats. Includes a retractable folding net, 2 mini bats and 2 of 40mm balls. Most of these mini table tennis tables allow you to play conveniently since there is no assembly required. All you need to do is just open the box, take out the table and play right away. Even the table surface can be rather smaller if compare to a full-sized table tennis table, however you will be still have a lot of fun to play with it. You may not have difficulty to play it right in the first place if you been used to play with full size table, but it may just takes a while for you to do the necessary adjustment and you will be able to handle the shot and got into a heated match without any issue. One drawback is the table is tiny enough to put in the house and therefore if your house is too big of space, you may find yourself need to chase the ball around while playing.